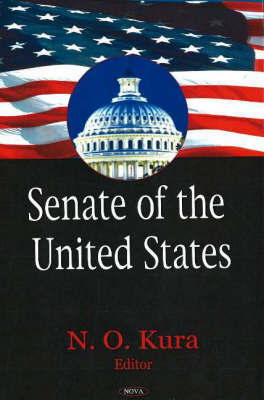 The Senate is one of the two houses of the Congress, created in Article I, Section 1 of the US Constitution. The Senate has 100 members, who serve for 6-year terms with one-third of the seats up for re-election every two years. Every state has two Senators. Senators were originally elected by state legislatures, but the Seventeenth Amendment to the US Constitution, adopted in 1913, changed the system so that Senators would be elected by the people. The vice-president serves as the presiding officer over the Senate, although he does not serve on any committees and is restricted to voting only in the event of a tie. The structure of the Senate, its longer term than the 2 years of Representatives and its history have resulted in a very powerful political structure. This new book sheds light on the structure and operating procedures of this very important deliberative yet dynamic body.